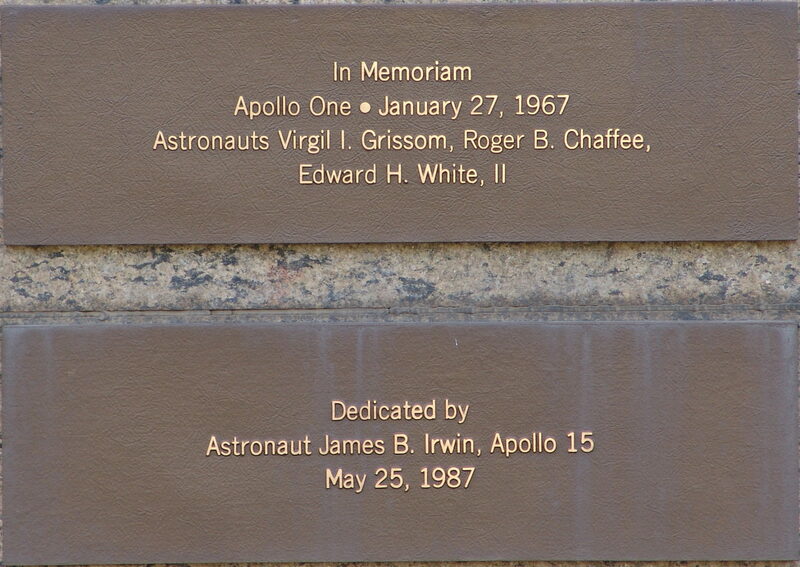 A memorial to the deceased. 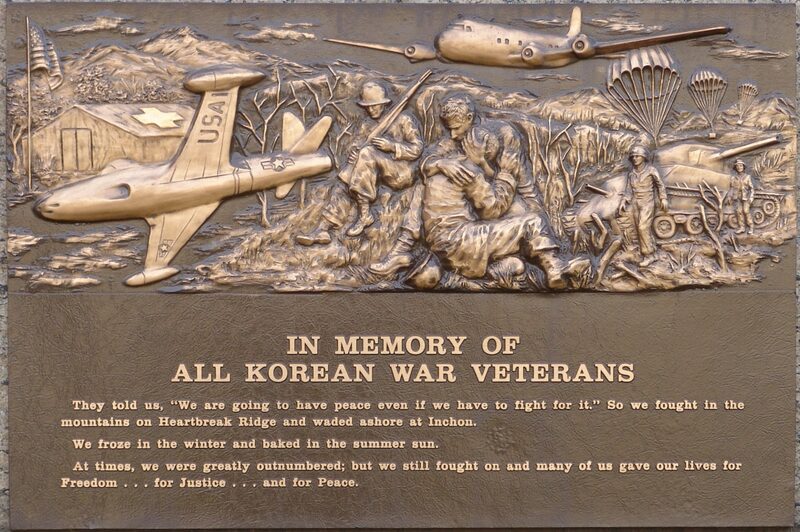 A tribute to those still serving. 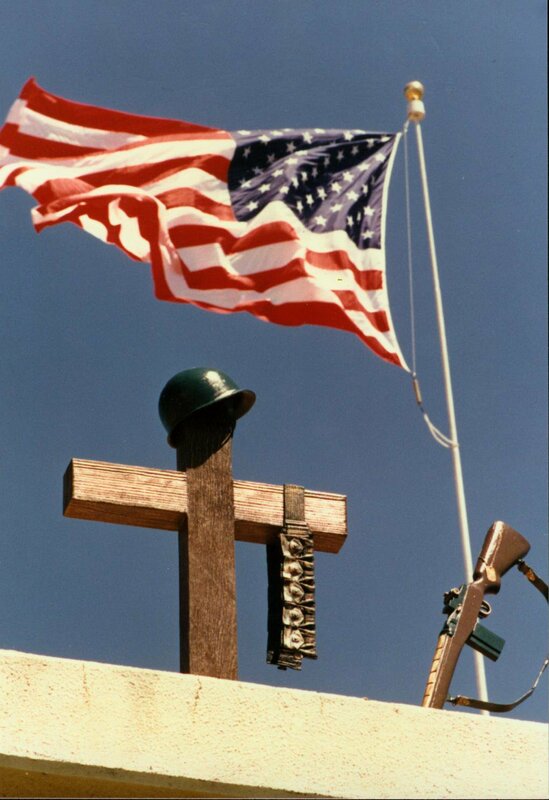 Honoring the dedication of living military members and memorialization of deceased veterans is an American tradition of recognizing the men and women who serve to preserve our country’s freedom. The Veterans Honor Court at the Shrine of Remembrance is a uniquely distinctive place of tribute to military veterans and their spouses who shared in the burden of their loyal service. The majestic 25-foot Memorial Wall at the Shrine of Remembrance features beautiful war theater memorials to honor those who serve and have served our country in military uniform. 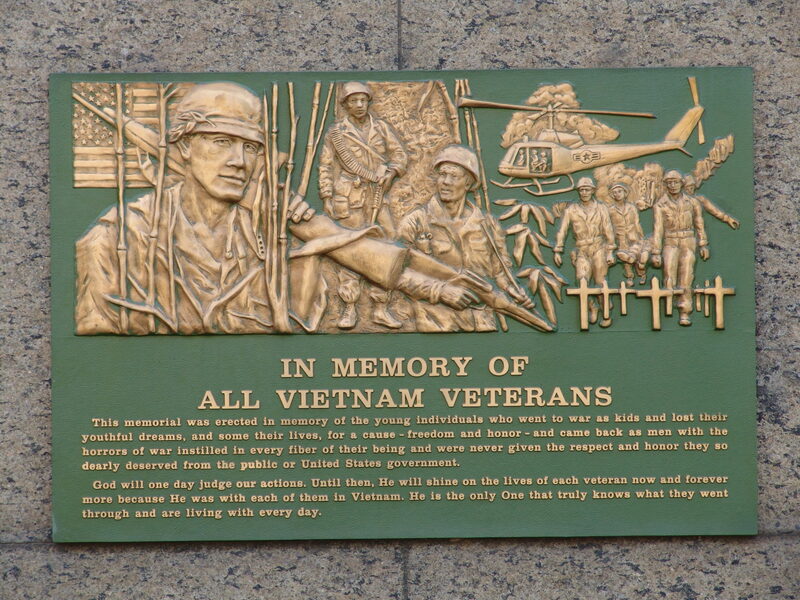 The memorial walls of the Veterans Honor Court contain individual bronze plaques naming the veterans, and often their spouse, so they will be forever honored. 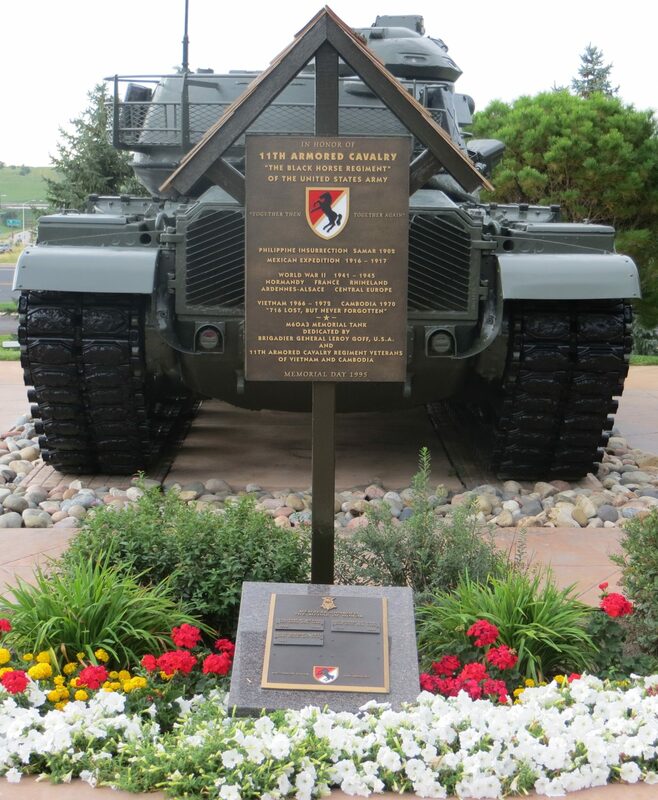 The individually cast perpetual bronze plaques include the veteran’s name and a raised emblem of the branch of the Armed Forces in which the veteran served. 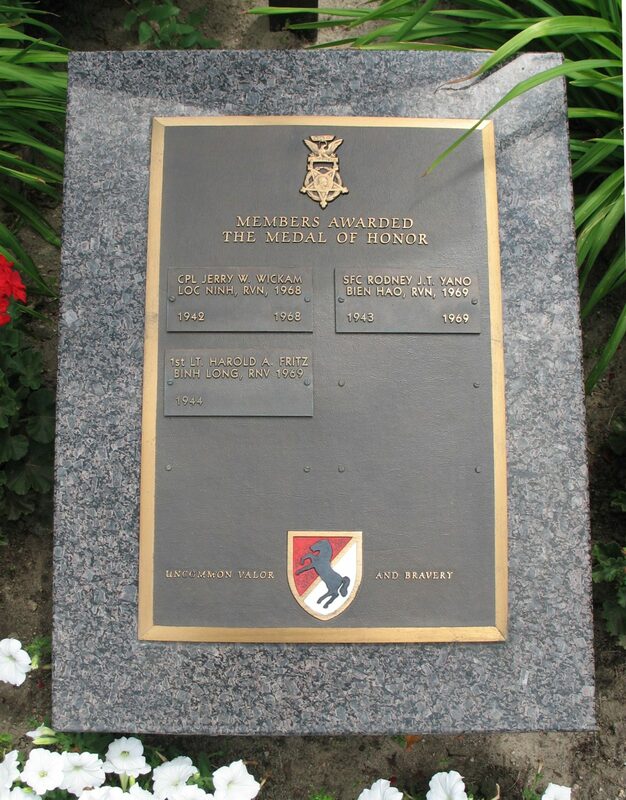 Often the plaques are obtained prior to a veteran’s death and are mounted on the wall as a living tribute to the veteran and their service to our nation. Read the dedication letter from then President George Bush. 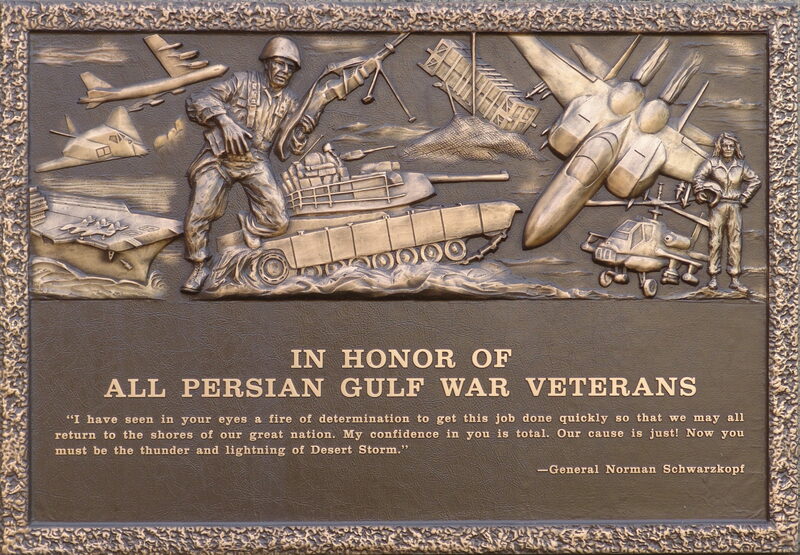 Read the Resolution regarding the Persian Gulf War / Desert Storm Memorial. 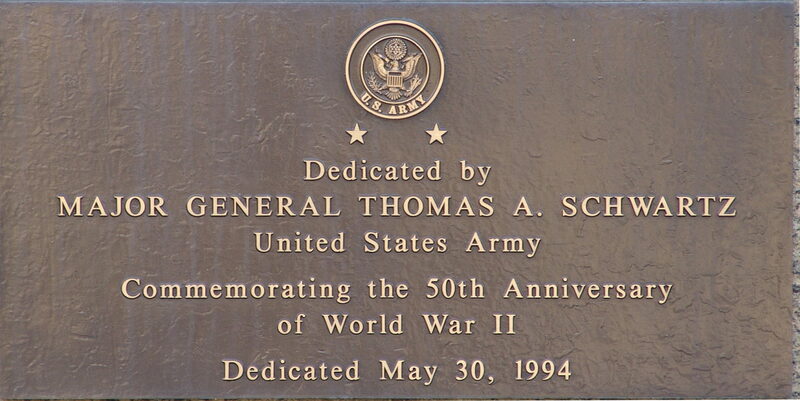 50th Anniversary of World War II Memorial, 1944–1994. Upon learning of the World War II memorial, the Department of Defense requested a second casting for display in the Washington, D.C. area. 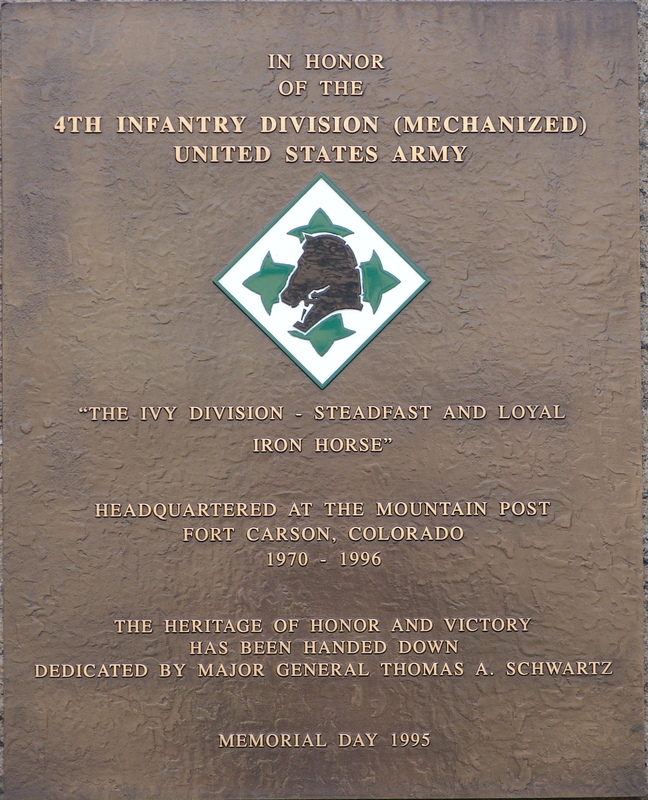 That plaque was dedicated on February 17, 1995, and was displayed at the Visitors Center of Arlington National Cemetery for one year. 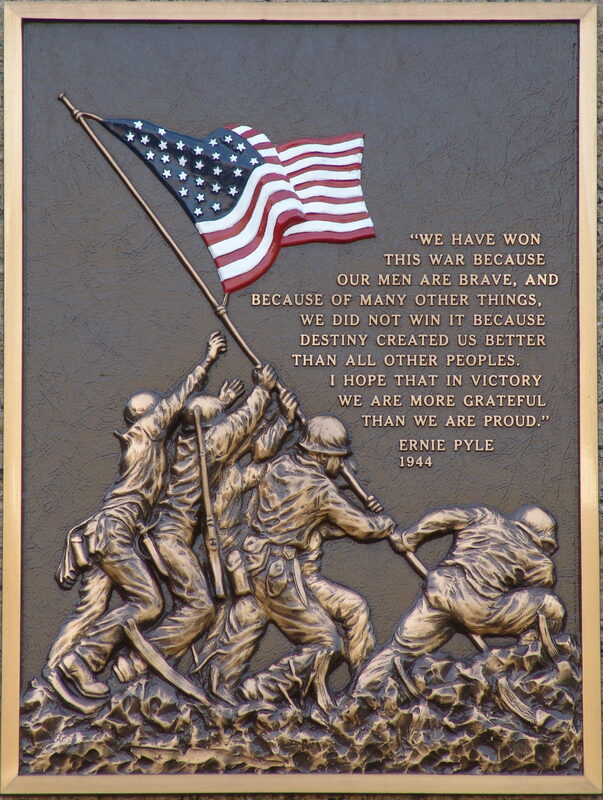 It then was permanently placed in the Trophy Room near the Tomb of the Unknown Soldier. 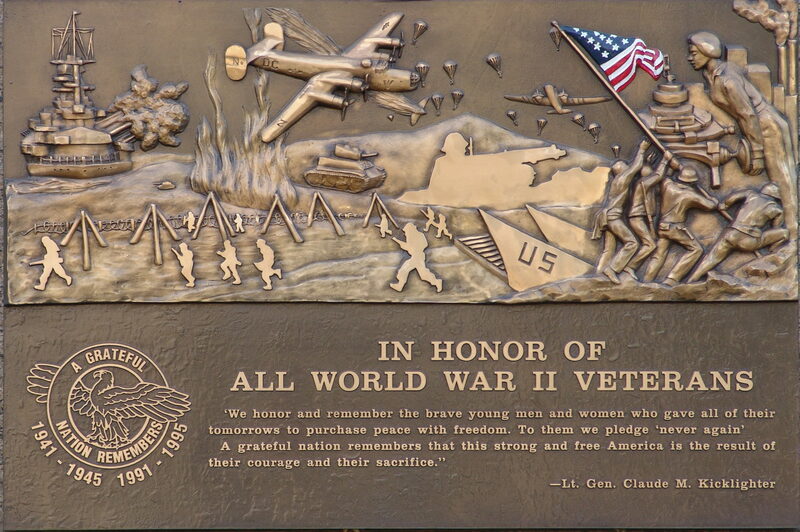 The World War II Memorial plaque at Arlington National Cemetery’s Visitors Center. From left: Ret. Colonel Jim Rix, then Director of Military and Veterans Affairs for the Shrine of Remembrance and Costas Rombocos, CEO of Shrine of Remembrance. 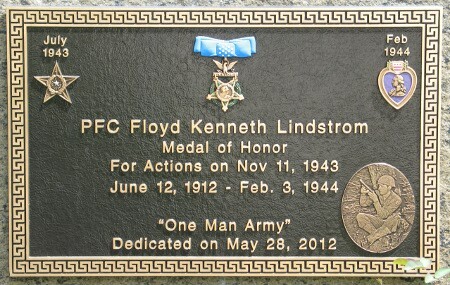 WWII memorial plaque designating Shrine of Remembrance as an official commemoration facility. 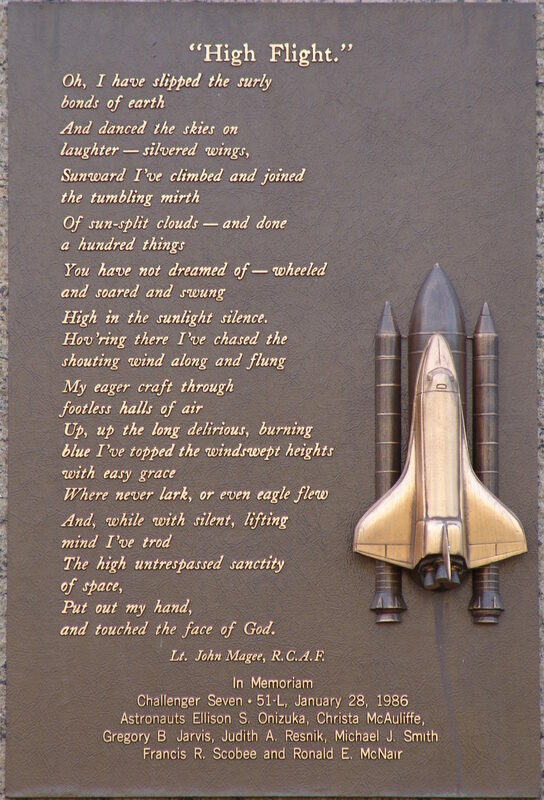 Read the program from the dedication ceremony. 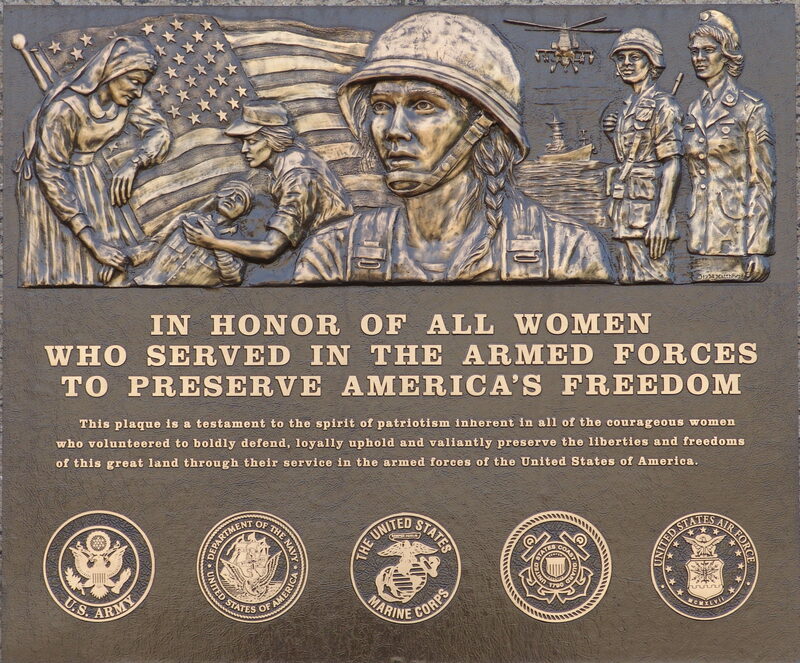 Read the World War II Memorial Interpretation. 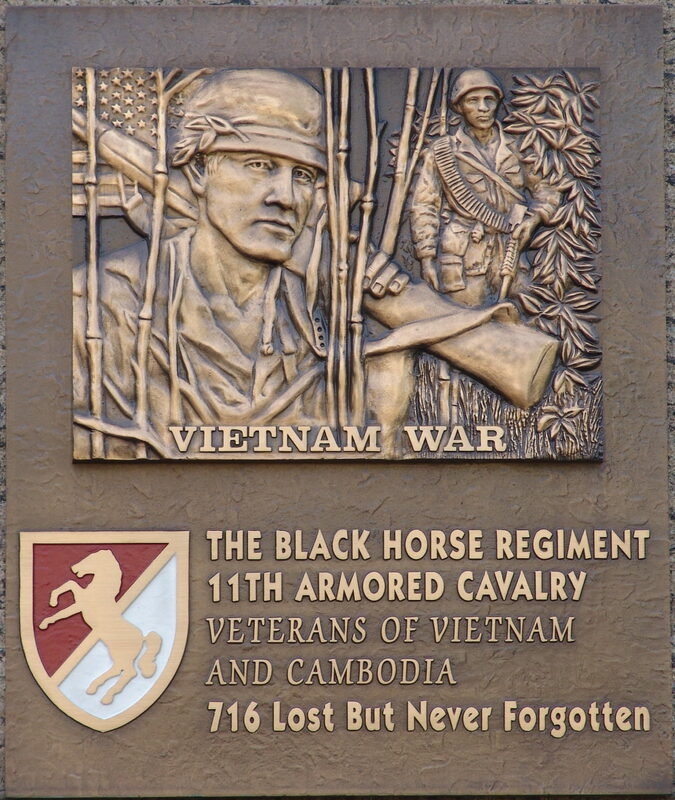 11th Armored Cavalry "The Black Horse Regiment" of the United States Army M60A3 Memorial Tank Dedicated by Brigadier General Leroy Goff, (USA) and 11th Armored Cavalry Regiment Veterans of Vietnam and Cambodia on Memorial Day 1995 Located at Shrine of Remembrance, East of the Chapel Mausoleum. 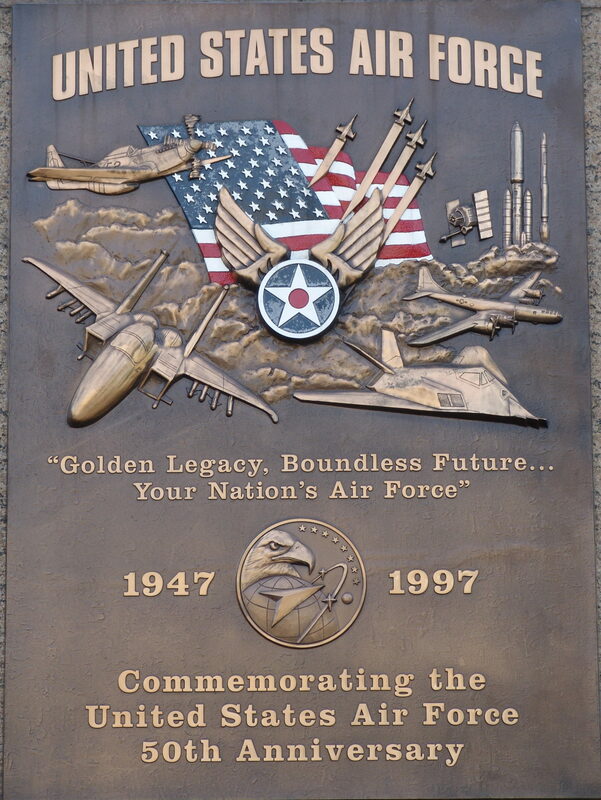 Read the Resolution regarding the 50th Anniversary of United States Air Force Memorial. 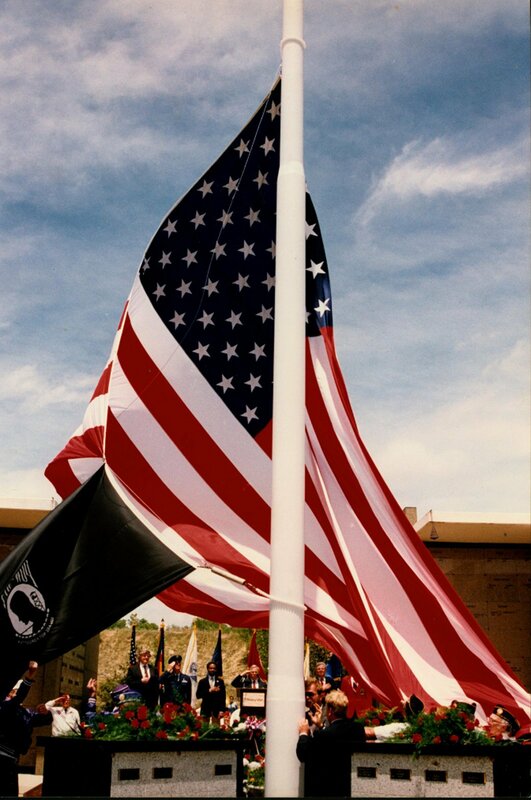 The “Old Glory Flag Pole” in front of the Honor Wall is a landmark in Colorado Springs. Rising 120 feet above the gardens, taller than any other in the state, the flag pole can be seen from much of the city, both day and night. 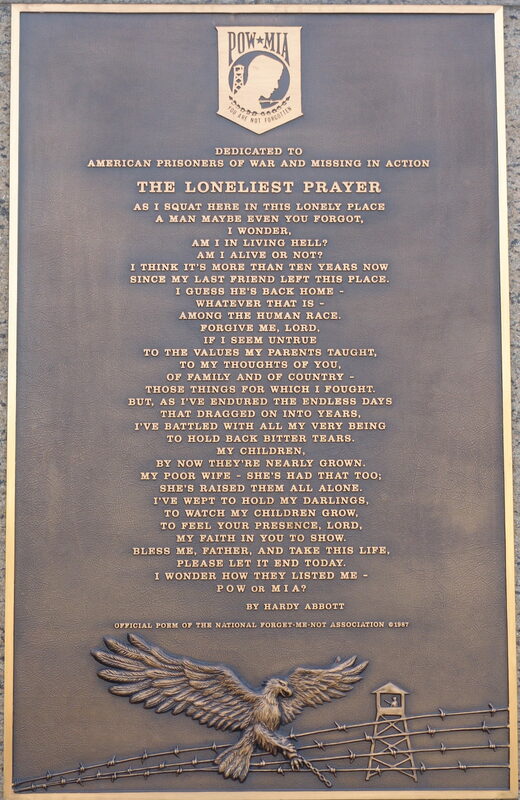 At the base of the flag pole is a bronze cast of the epic poem “Old Glory” and the El Paso County Sheriff’s Memorial. 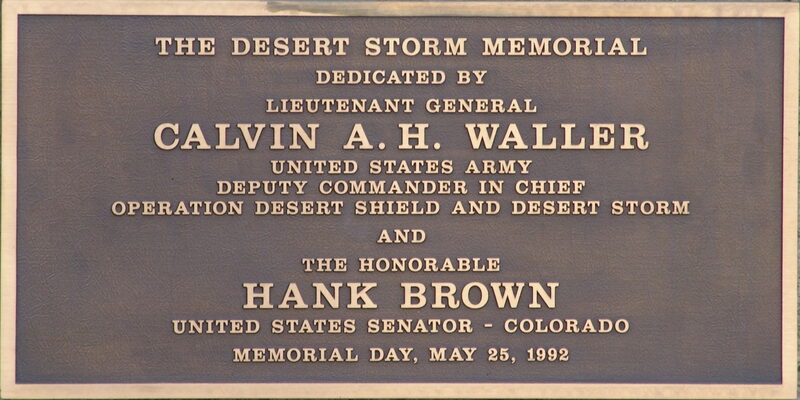 The “Old Glory Flag Pole” was dedicated in 1987 by Congressional Medal of Honor winner SFC William Crawford. 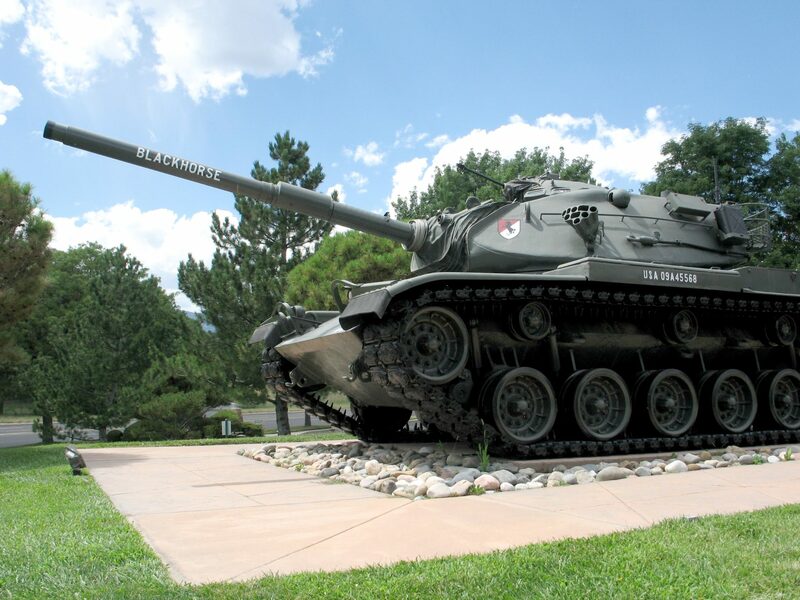 Longtime Colorado Springs residents may recall that in the past, on special holidays, such as Veterans Day and Memorial Day, a giant “Holiday American Flag” was raised, replacing the “Garrison” flag normally flown throughout the year. The special holiday flag was 50 by 30 feet, approximately the size of a 5-story building. The raising of the larger “holiday flag” was a community event, often involving well-known organizations and civic leaders.